Today, I am squeezing in a last challenge for a week . . . yes, my class does actually start on Monday . . . really, this time. If you are a reader of my blog, you will know that I said I was satrting the course about two monday's ago and then had to retract, as I had made a mistake with the date! Anywho, back to today's card. This one is a second bite of the Freshly Made Sketches #177 challenge, which is a sketch, the sketch below. First I ran a white card base through my Cuttlebug and embossed the front with my EP. Next, I cut a panel with my die for the layering piece. Then I cut a scrap of cardstock that I had watercoloured and was left over from another project and the top layer of the butterfly out of vellum. 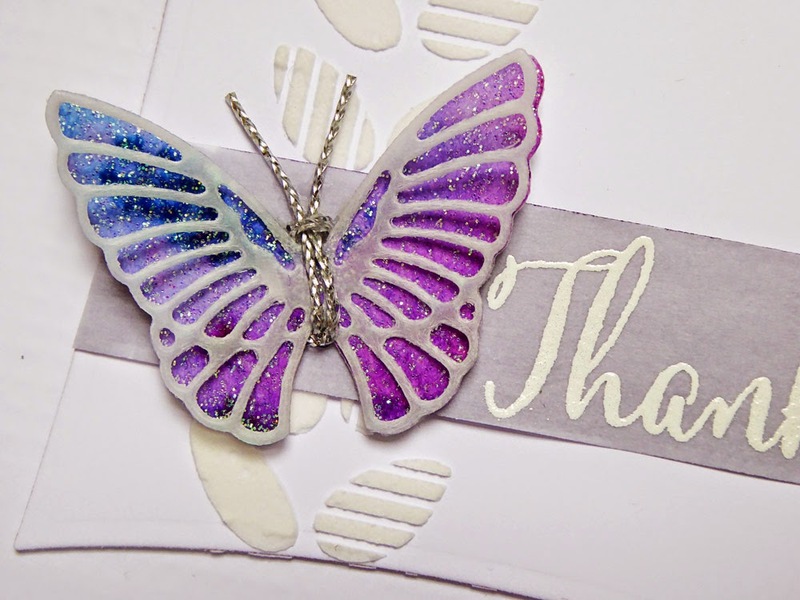 I used a strip of the vellum for the sentiment, just tore the end for a ragged look and coloured the back with an alchohol marker in a colour to complement my butterfly. I then embossed a strip down the front of my layering panel with a masked off stencil. 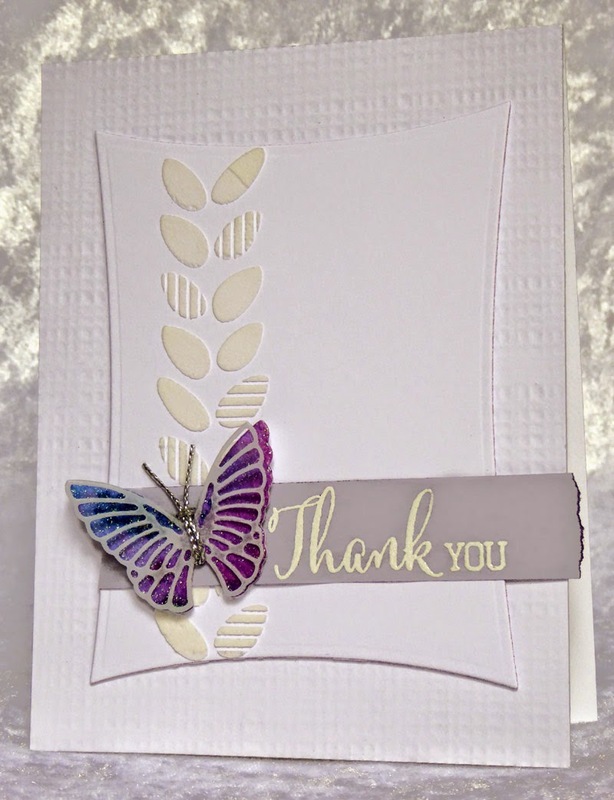 I heat embossed the strip of vellum with my sentiment and assembled my butterfly. 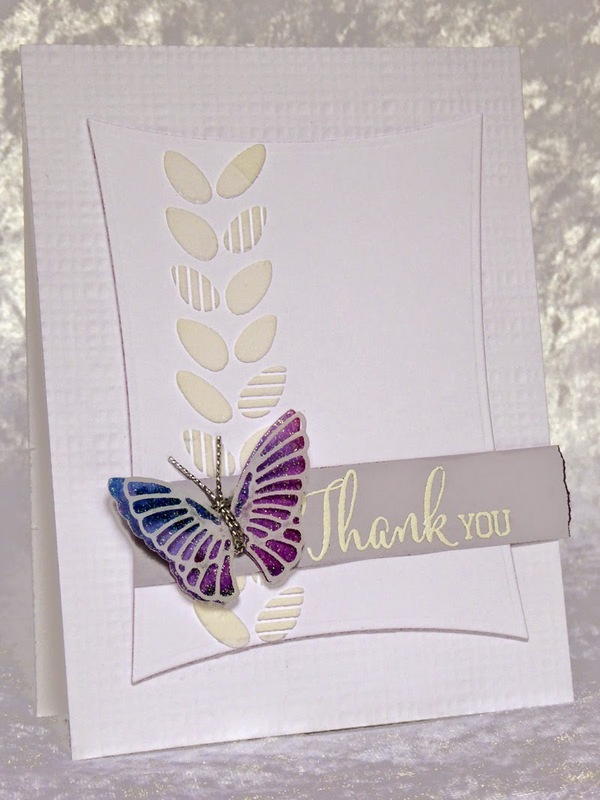 I finished by layering the panel to the front of my card with foam tape and mounted the sentiment and butterfly to finish. All supplies are listed below. Thank you for taking the time to visit my little blog and I appreciate every comment you lovely folk leave, I will always reciprocate whenever possible. 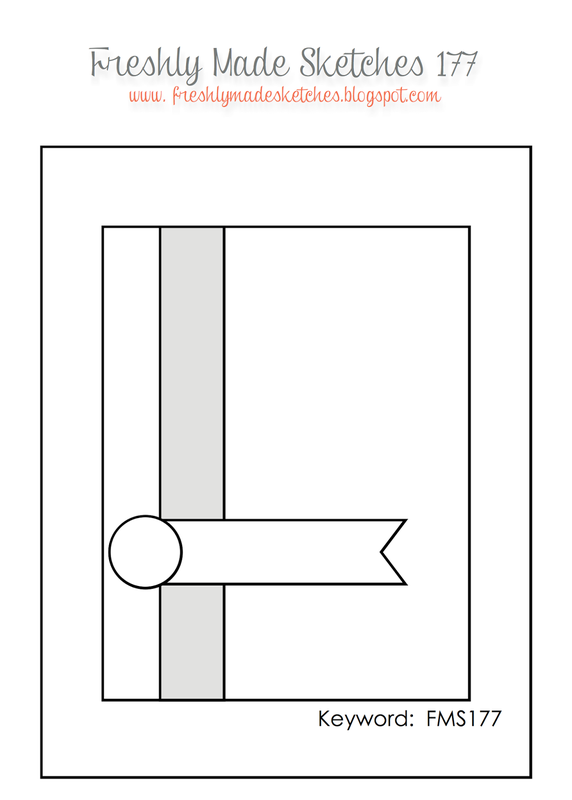 If you have signed up for the class, 'Stretch Your Dies', I'll see you in class! What a stunning card! 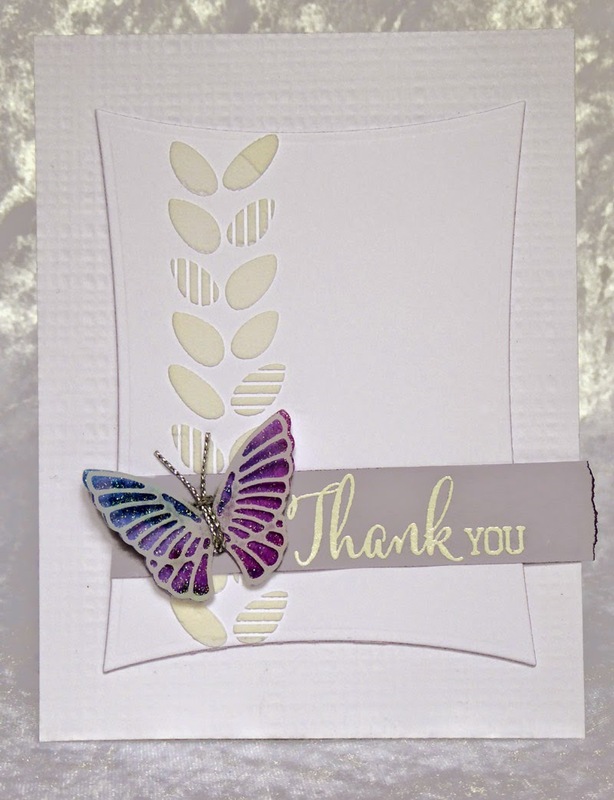 The embossed card, the stenciled leaves the sparkling butterfly with the vellum - so much going on yet still CAS and serene! Pure perfection! your card is great. Beautiful pressing structural paste. Cool are the leaves into strips. Butterfly is captivating colors, and the wings with parchment add to the delicacy ... Perfect card. I love the sparkle on that butterfly!! The body/antennae are cool too. I love the neutral colors but textured! This is just one stunning cards! From your beautiful butterfly to your amazing background! Love everything about it. I just love the colors of that butterfly against the white and off-white. So striking! What a very striking and super stunning card, Hazel!!! Love how you have played with the whites and off-whites and the great texture on your card base!!! 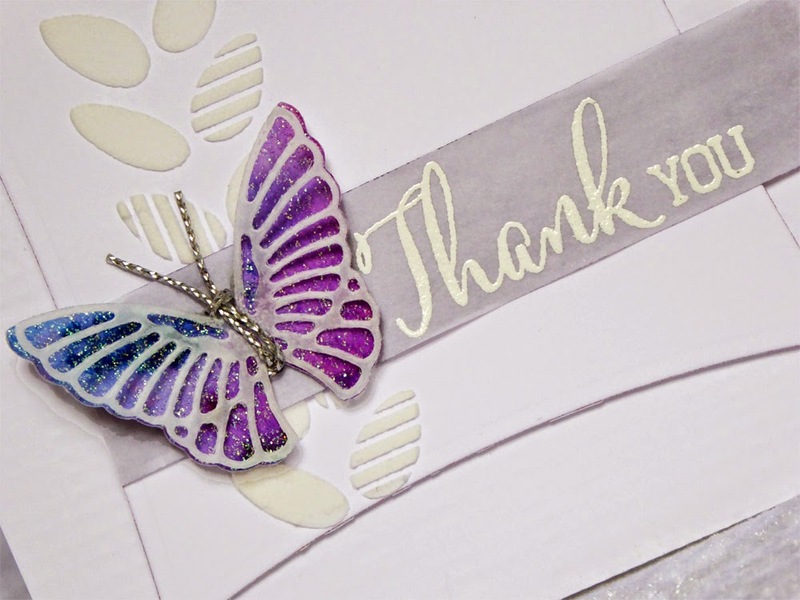 Your butterfly is breath-taking with the lovely purples and blues and the great shimmer!!! That silver cord you have used on the butterfly is such a clever idea and so beautiful!!! This is a beauty, Hazel!!! I see you enjoy playing at FMS as much as I do!!! Have a lovely day and enjoy that course - wish I could have joined you!!! Absolutely stunning card, Hazel--love it! Enjoy the class--I know I need it but not in the budget right now. Absolutely gorgeous. I love all the beautiful details. Thanks for sharing with us at Freshly Made Sketches! Beautiful card and love the details!